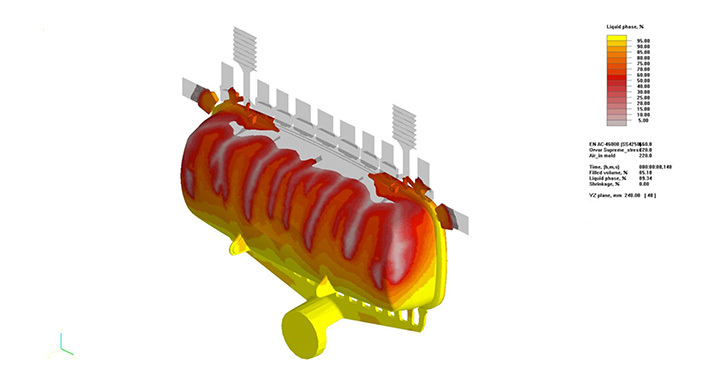 NovaFlow&Solid is a mold filling and solidification simulation package based on advanced fluid flow and heat transfer theories. NovaFlow&Solid Showcase Video Short introductory video to casting simulation software by NovaCast. Most of the casting methods on the market can be simulated such as gravity sand casting, gravity permanent mold, low pressure die casting, high pressure die casting, lost wax method, tilt pouring and lost foam process. 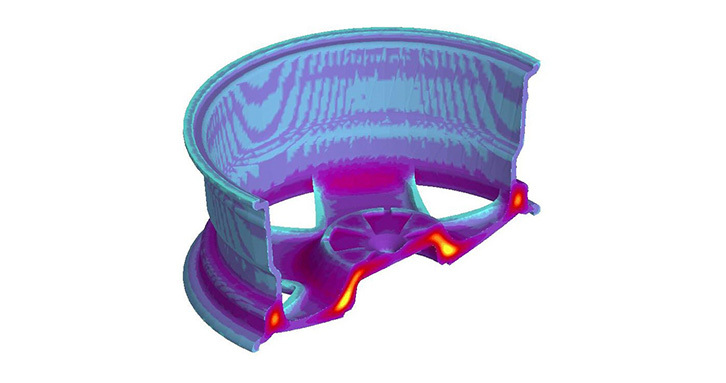 Commercial alloys can be simulated such as grey- and ductile iron, steel, aluminum alloys, copper-, zinc- and magnesium-based alloys, super alloys, all types of mold and core materials that exist on the market and exothermic materials as well as chills. At NovaCast Systems, we believe in change, not just for sustainability, but for a truly responsible industry that makes good business with a good conscience. Therefore we are driven to innovate and produce solutions that will make us reduce the environmental footprint. It will not be easy, but we believe green business will be good for everyone. 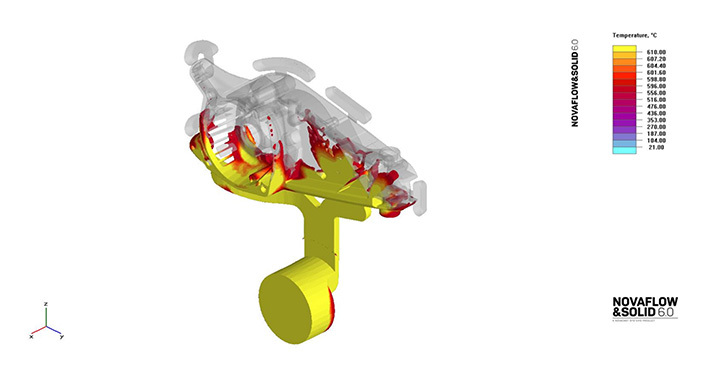 Our casting process simulation system, NovaFlow&Solid, is an innovative tool that helps you work faster, easier and achieve more accurate castings – simply because every casting counts. 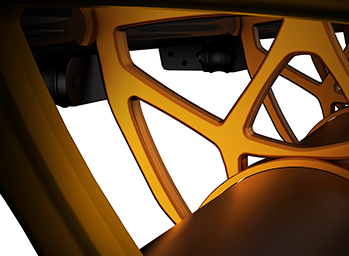 Multiple materials can be in a single meshed element. 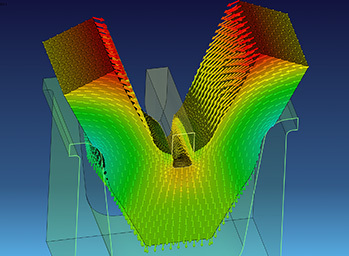 Control Volume Meshing (CVM) has become the standard for superior Computational Flow Dynamics (CFD). 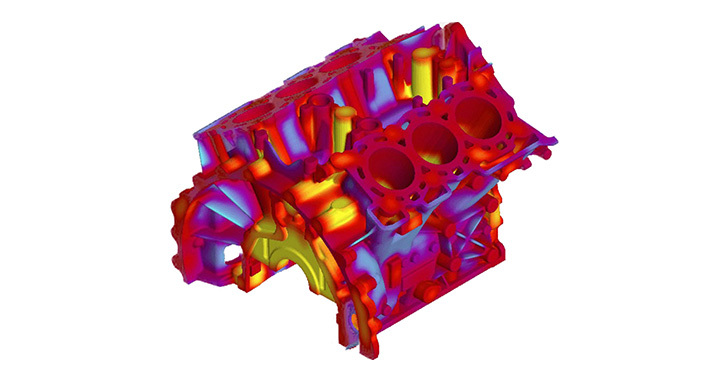 Database calibration with actual alloy information from the plant using the NovaCast Adaptive Thermal Analysis system (ATAS). With this system you can measure cooling curves of samples from your actual melts and then simply use a calibrate function that will update the NovaFlow&Solid database with the exact solidus, liquidus and density vs. temperature curve of your specific alloy. 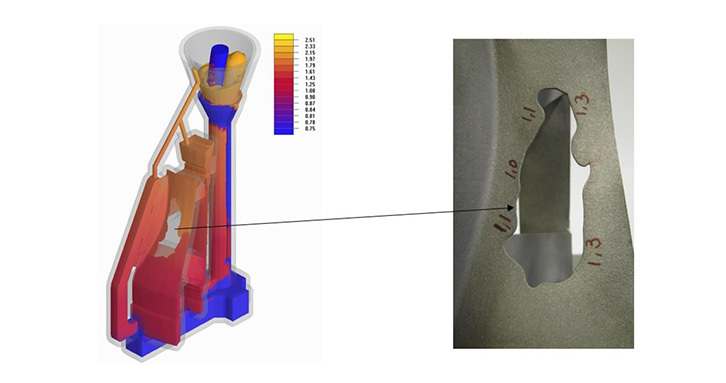 Save temperature distribution after filling and then load on a different mesh for solidification. For example you can use a rough mesh for filling to just get a reasonable estimate of temperature distribution at the end of filling and then you can refine the mesh and load the saved temperature distribution onto the new meshed model for accurate solidification results. This currently works automatically if specified before simulation. Full multi-core support without any additional cost. 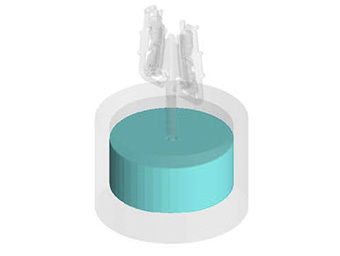 Parameter inputs are available for Pouring over lip, bottom pouring ladle and influx due to fixed influx area (filled pouring basin). No pressure will ever be generated due to a filled gating system (flow rate through the choke is smaller than the defined influx rate). NovaFlow&Solid will adjust the flow rate to prevent overfilling or unrealistic pressure due to a filled gating system. 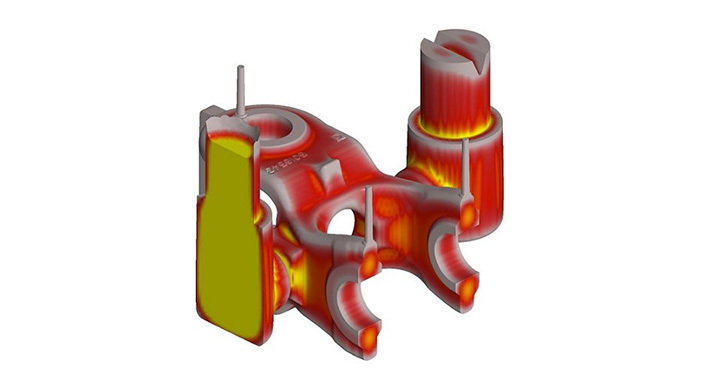 Filling with movable piston for High Pressure die-casting simulations can be done for all simulations with just 30 % - 50 % longer time. 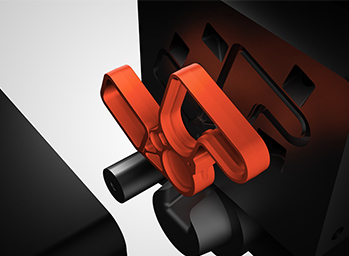 Adjustable gravity effect during porosity formation – alloys with strong skin formation tend to form porosity internally as opposed to on the top surface (funnel piping). This property can be adjusted/calibrated in NovaFlow&Solid. 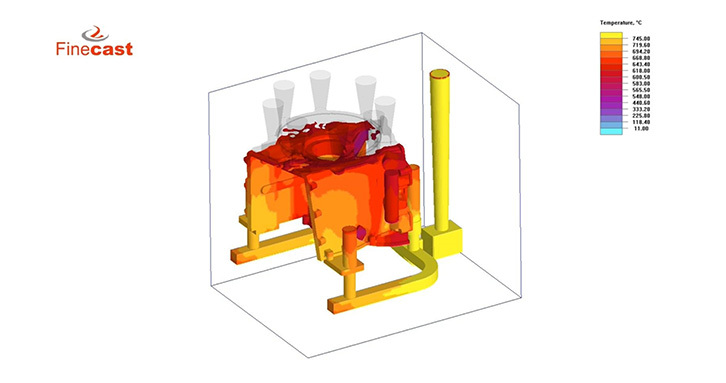 Gas flow calculation – capability to calculate and show the effect of gas (in the actual flow pattern, not just as a criterion) in the mold heating up and building pressure providing a true multiphase flow solution. 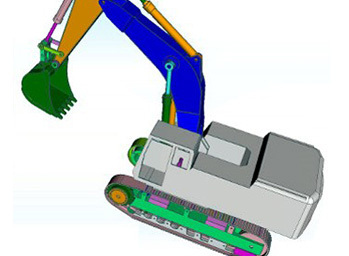 Built-in Methoding Calculation – two expert systems that will calculate feeder size and position and gating according to standard rules are built into the software to aid the foundryman in finding an initial design calculation. Number of productive tools for the best understandable viewing of the results, such as Autogeneration of movies and Automatic report generator. 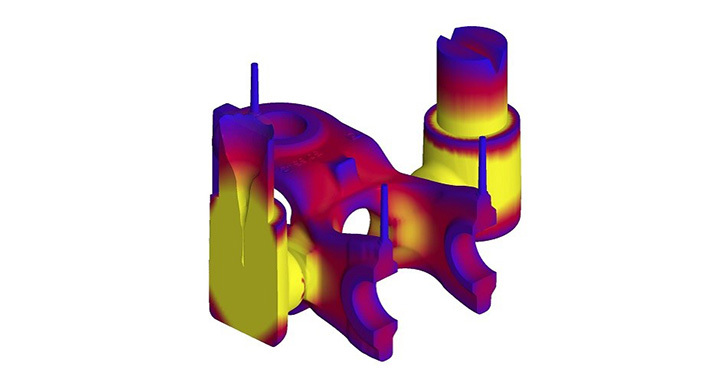 This software is already very popular in foundries that produce non-ferrous or ferrous castings. 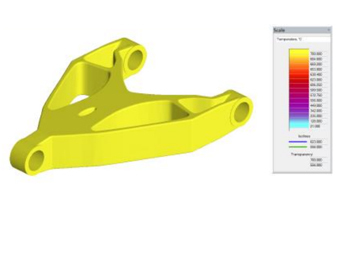 NovaCast solutions are also very applicable and being widely adopted by any industry that requires a casting simulation solution.